CA Technologies announced that it has signed a definitive agreement to acquire BlazeMeter. Founded in 2011, BlazeMeter is a company that specializes in open source-based continuous application performance testing. BlazeMeter’s solutions will seamlessly integrate with CA’s continuous delivery solutions that will further improve testing efficiency and accelerate the deployment of applications. This extends CA’s DevOps portfolio. BlazeMeter’s commercial, self-service continuous application performance testing solution is fully compatible with Apache JMeter as well as other open source software tools like Selenium, Gatling, and Locust. One of the biggest challenges for developers is getting apps to consumers in a timely manner as testing speeds is one of the major hurdles. With BlazeMeter’s solutions, developers and performance engineers are able to test apps early, improve test coverage, and even avoid performance problems too close to production. Terms of the acquisition was not disclosed but the deal is expected to be completed before the end of 2016. CA has also recently announced the availability of two new products, the CA Live API Creator which provides point-and-click functionality to create APIs from existing enterprise data in order to more easily create and deploy back-ends for mobile development projects and other initiatives, and CA App Experience Analytics, a new SaaS solution that enables organizations to deliver a premium customer experience across the increasing number of digital channels used by today’s consumers. 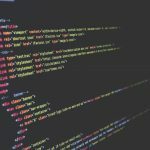 As for BlazeMeter, the company recently released a new technology that allows user to execute Selenium scripts as load tests, which is expected to gain significant traction.